Stainless steel has a huge application across various industries. Whether it is a metal fabrication, shipbuilding, customized car manufacturing, stainless steel material is used everywhere. It is also used for the making of bicycles. 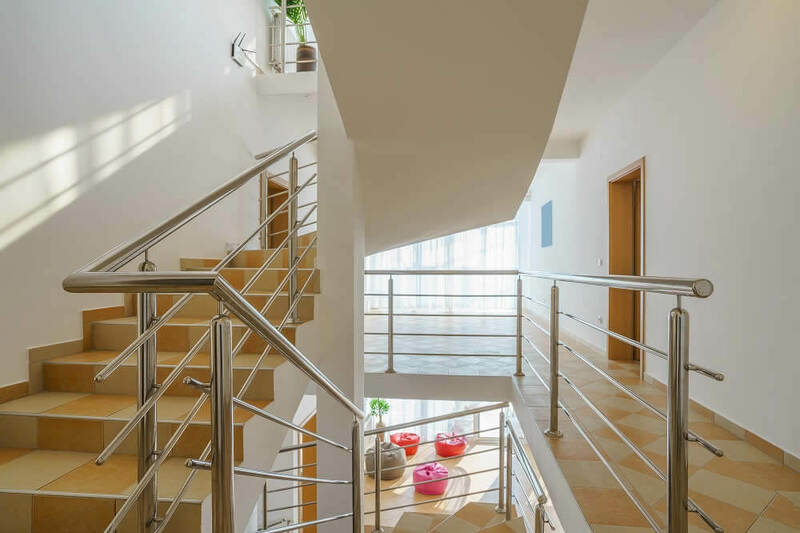 Now, stainless steel materials are used in making handrails, customized railings or fittings for the interiors and the exteriors. For a variety of reasons, stainless steel is appealing. It is intricate, gorgeous and this is not an overstatement. Besides the look, stainless steel has natural beauty and the maintenance needed is minimal. Whether you brush the stainless steel or polish it, the material looks outstanding and amazing. The material is appealing and its real beauty lies in the fact that it needs the least amount of maintenance. Stainless steel is used in modern construction just because of the fact that it does not bend, fracture, warp or crumble. Cleaning the surface is a breeze because you just simply need to wipe the surface and clean the dirt and dust. If you are determined to choose stainless steel balustrade, there are endless possibilities in the market. When choosing right material, you need to be judicious about your choice. You can also construct the railing to save the cost of labor. But for this, you need DIY skills. You may also rely on the skilled craftsman who may manufacture the product to match your needs. There are a range of stainless steel materials and grades available in the market. The type of material you choose is dependent on the environment where it is used. You may choose the stainless steel material AISI 304-AISI 316 stainless steel. The finish of the stainless steel may be mirror polished and can even be satin brushed. The stainless steel railing may be set in various ways. You may use it as the handrail that is mounted to the walls with the handrail bracket and the standalone feature which is supported by the floor mounted posts. You may use the handrail system as the guardrail for the balconies, knee walls and decks. Most of the modern homes employ design concepts like equilateral and quadratic. You can choose the round style and square style of the railing to compliment the modern designs and theories. For any existing structure, it will be best to choose round or square handrails which are the perfect accent for existing structure. Whether you are renovating the home or office completely or getting the facelift, the touch up, handrail or shining railing may give that perfect kind of balance. When compared to other material, stainless steel is the most sustainable. For any of the new construction projects, renewable and green sources are always large concerns. It is the stainless steel railing which is green and sustainable. This type of railing does not mold, rot, corrode or disintegrate like other building materials. The material is weather resistant and may withstand the sweltering summers and even harshest of winters. Apart from this, it is the material which is used by the artists to create really amazing works of art. If you want to add a beautiful touch to the home, go for stainless steel balustrade. Its benefits are simply indisputable. The stainless steel handrail and the railing will offer the defining touch to the office and the home. 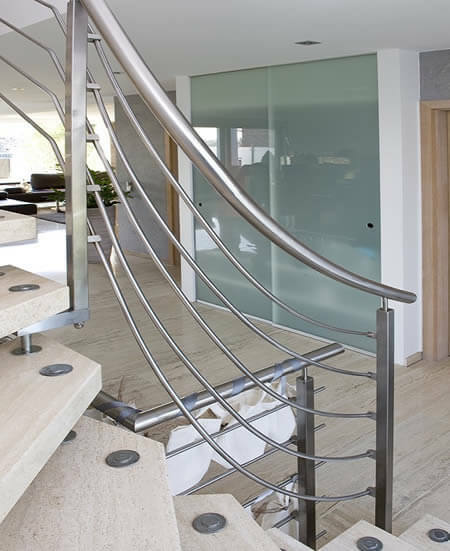 Stainless steel balustrade can add a modern touch to the home. It needs little maintenance and is environmentally friendly. Balustrade manufacturers offer the balustrade in various colors and designs. You may choose high quality 201 material. To add a modern touch to the home, you may choose arched looks that might be created easily. The style of the steel is minimalist. Stainless steel balustrades and railings can add both modern and elegant touches. Stainless steel has great value as it is durable in nature.